The Plane Makers. First broadcast on 4th February 1963, this ATV series ran for three years and 58 episodes. 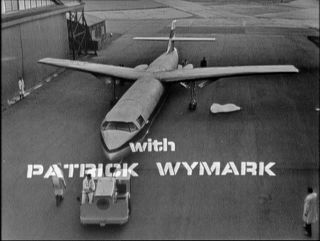 Set in the Scott-Furlong aircraft company, the first series was effectively an anthology of single plays with the common background of the construction of a new plane. Although actors and characters would appear in more than one episode, there was no continuing story or dominant character. Producer Rex Firkin had been tasked by Lew Grade, managing director of Associated Television, with creating a down-to-earth factory setting for a TV show. Independent Television Authority rules meant that the factory could not produce anything which might be advertised on TV, which brought it down to a short list of ship building and aerospace. Wilfred Greatorex was a former reporter for the Blackburn Times, and assistant editor of John Bull, before contributing scripts to series such as Probation Officer and Danger Man. 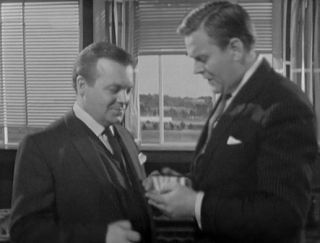 Firkin had realised that The Plane Makers needed a running cast to hook the audience for the second series, so Greatorex engineered a continuing storyline, shifting the emphasis to the boardroom and introducing Wilder and Wymark. 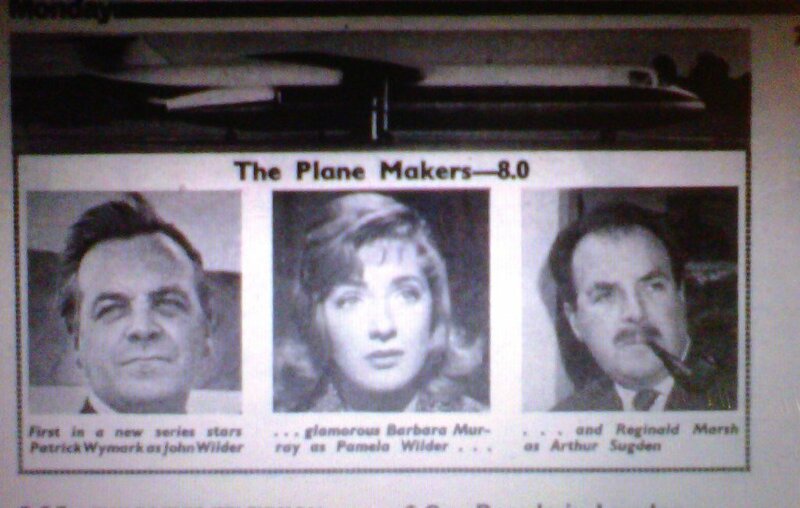 Although the series continued to feature one-off characters facing their 'moment of truth', the stories now rested on Wilder's urge to push himself and the development of a new plane forward, tempered by methodical test pilot "Auntie" Forbes (Robert Urquhart) and Yorkshire-born Factory Manager Arthur Sugden (Reginald Marsh). Greatorex was quoted as saying, ""Up North it's to do with fair dealing, but in London it's all to do with power" which makes it tempting to see Marsh's character as more representative of Greatorex's viewpoint. However, as H.R.F. Keating observed in the Catholic Herald, "Wilder..moves on from being the man you love to hate to being the man you hate to love but cannot help according an undue measure of human sympathy." The revised Plane Makers was a success. Although it went on to a third series, this focused more on the executive and political level, with few of the blue collar characters from the first two series. It is said that ATV's chief Lew Grade felt viewers who worked in factories would not want to come home and watch a TV show about a factory. It is also said that the production team felt that every aspect of the aviation industry had been exhausted. Whatever the reason, The Planemakers was brought to an end in the knowledge that John Wilder would continue. Written by Edmund Ward, directed by Quentin Lawrence. 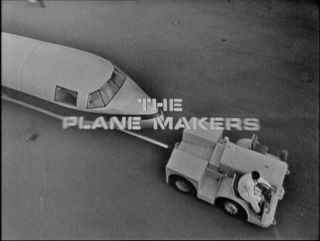 The only surviving episode of this season (available on volume 1 of the Planemakers DVD) following the work of the Scott Furlong company as it constructs the SF200 airliner.The introductory episode features the efforts of training officer Gordon Rollings to steer apprentice metalworker Ronald Lacey towards a design job. Colin Blakely plays Jack Clement, one of the best craftsmen and "one of the biggest chancers" on the Scott Furlong shop floor. 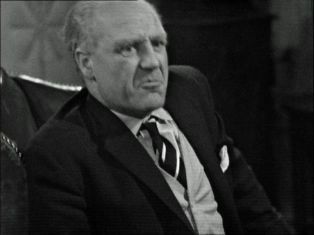 The episode weaves in several other characters such as a new safety officer and itinerant metal-worker Joe Carter (Dickie Owen) trying to avoid his wife's maintenance claims. The factory is the ATV Elstree studio, famous as Harlington-Straker in the TV series UFO and now under BBC ownership as the hospital in Holby City. Feb 11 1963 Always Another Saturday. Writer Richard Harris, director James Ferman. "Most people take life as it comes, but there is a question that Tony Hastings (Frank Jarvis) is afraid to ask." With Christopher Beeney as Maurice Frame, Johnny Briggs as Den, Paul Dawkins as Ernie. Feb. 18, 1963 Them: Or Us? Writer Robert Holles, director Peter Sasdy. Davey Rankin (John Meillon) is a militant shop steward in his union. Davey is used to fighting other people's battles but when it comes to his own fight his integrity is challenged. With Annette Crosbie as Brenda, Meredith Edwards as Bert Griffin, Jerome Willis as Alf Winter. Mar. 11, 1963 The Dividing Line. Writer Robert Holles, director Cecil Petty. Robert Haig-Allen (Michael Bangeter) puts on a staff dance to prove management and operatives can mix socially. With John Meillon as Davey Rankin and Annette Crosbie as Davey's ex-fiancee Brenda. Mar. 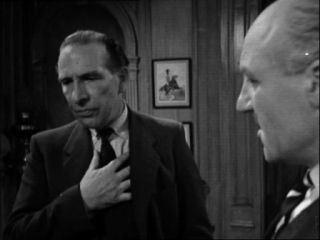 18, 1963 The Short Run.Writers Geoffrey Bellman and John Witney. Director Geoffrey Nethercott. "For Don Cotter (Gary Watson) working in the drawing office, an unexpected vacancy could provide a final chance to plan his life. With Richard Vernon as Leonard Boaze. Robert Cartland as Wolfgang Katz. 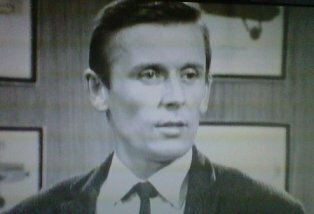 Harry Costigan , played by Gerald James, would return in season 2. When works manager Mr Anstrell (Harry Webster) notices some of Costigan's activities, it stretches in ingenuity to the limit. Apr. 8, 1963 Point of Contact. Writer Ken Taylor, director Cecil Petty Tom Barnsley (Brian Murray) meets secretary Sue Collins (Jane Merrow) and thinks it's the start of something big. But she has other plans. Apr. 15, 1963 The Testing Time. Writer Bill Craig, director Geoffrey Nethercott.With Leonard Sachs as Geoffrey Berger, Vincent Ball as Nelson, Tom Macaulay as Cunliffe (who would return in the second series), Harry Webster as Mr Anstell. Apr. 22, 1963 The Veteran Writer Robert Holles, director Herbert Wise. When the wrong issue from stores occurs, an operative seizes the chance to settle his grievance with the storesman. J.G.Devlin as Arthur Cooper.Jeremy Kemp as Bill Casby, Martin Boddey as Cyril Bridges. May 6, 1963 Who Goes First? Writer Richard Harris. Director James Ferman. Two in five men face unemployment as the threat of job cuts hits Scott Furlong, but for capstan operator Den Heath (Johnny Briggs) redundancy could be key to his own crisis. With Harry Webster as Mr Anstrell, Tom McCauley as Mr Cunliffe (who would return in the second series as one of WIlder's board), Frank Jarvis as Tony Frame, Julia Foster as Sue Barnes, Ivor Salter as Ted Barnes and John Junkin as union convenor Dusty Miller. May 20, 1963 One of Those Days. Writer Edmund Ward. Director Quentin Lawrence. Hidden resentments come to the surface between workers and management when tempers fray. With William Hartnell as Wally Griggs, Michael Williams as Stephen Allsop, Anne Cunningham as Marian Allsop. Michael Williams appears by permission of the Governors of the Royal Shakespeare Company. May 27, 1963 A Good Night's Work. Writer Peter Draper. Director James Ferman Junior executive John Rodway (Alec McCowen)finds himself on an unexpected night out with a South American woman. His future depends on the success of the evening. With Erica Rogers as Anna, Ronald Radd as Mr Samaranga, Tom McCauley as Cunliffe and Wendy Gifford as Sue Rodway. With a shift of emphasis to the boardroom, the title sequence has changed from the documentary shots and jazzy theme of the first season to Trevor Duncan's stately march as the completed SF200 aircraft is rolled into a hangar by technicians. The episode intoduces John Wilder, Managing Director of Scott Furlong, with power of executive decision but answerable to his board of directors . Oct. 28, 1963 Any More for the Skylark? Also features Isobel Black, John Woodvine, Rodney Bewes and Barbara Windsor. Dec. 17, 1963 How Do You Vote? Written by David Weir, directed by John Cooper. (This episode begins volume 2 of the Planemakers DVD). Wilder wants to build an extra 12 Sovereigns before they have recovered their costs on the earlier orders. "He's the wonder boy of British aviation. He needs a howling success. He wants to gamble on the difference between an aircraft that's a solid commercial success and one that has the chance of being a spectacular winner." So says Sir Gordon Revidge (Norman Tyrrell) new chairman of the Merchant Bank supporting Scott Furlong. The balance of power between the three companies in this group is a very delicate thing. Dec. 24, 1963 One Out: All Out! Sir Gordon Revidge refuses to finance the expanded Sovereign project but Wilder has already cancelled a missile programme to free up the staff. "Executioners seldom accept invitations from their victims, John." Revidge and Sir Gerald Merle agree that Wilder must go. Written by John O'Toole, directed by Bill Stewart. Written by John Gray, directed by John Cooper. Mar. 31, 1964 How Can You Win If You Haven't Bought a Ticket? A new title sequence heralds a new direction for the Plane Makers. The Vertical Take Off and Landing Jet shown in the title sequence is the new focus of Wilder's ambition. The brain child of David Corbett (Alan Dobie), the VTOL jet is being developed by Ryan Airframes. Part of the same group as Scott Furlong. In the course of the episode, Wilder schemes to bring Corbett and the new jet under his control. Described by Henderson as, "Very technical. Drinks lemonade. Not really my type." Corbett is single-minded, apparantly lacking in social or political graces. Alan Dobie had been a student with Patrick Wymark at the Old Vic Theatre School, and a year before had played the Revenue Solicitor persecuting Wymark's Joseph Ransley in Alias The Scarecrow. Nov. 24, 1964 It's a Free Country - Isn't It? This episode brings The Plane Makers to a conclusion.